Browse: Home /	Composting, CSO (Combined Sewer Overflow), Food, Permaculture, URBAN FARM & GARDEN / “Greening Flatbush”! 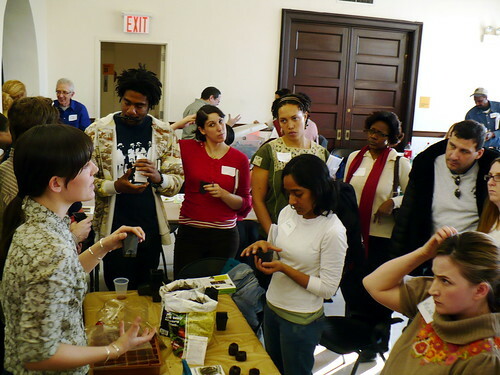 Last Sunday’s event, “Greening Flatbush: Garden Where You Are” was a huge success! The Sustainable Flatbush Gardening Committee assembled a stellar program of speakers and demonstrations on topics including Container Gardening, Urban Composting, Street Trees, Permaculture and more. We can’t wait for spring to get our hands dirty and start planting up the neighborhood! I so wish we had this in our community. People around here don’t care about anyone or anything. City don’t even help out. I give yea a thumbs up and hope it’s even better next year. Street-Tree Walking Tour next Sunday! Reminder: Monthly Meeting December 3rd! Monthly Meeting on Monday April 14th!